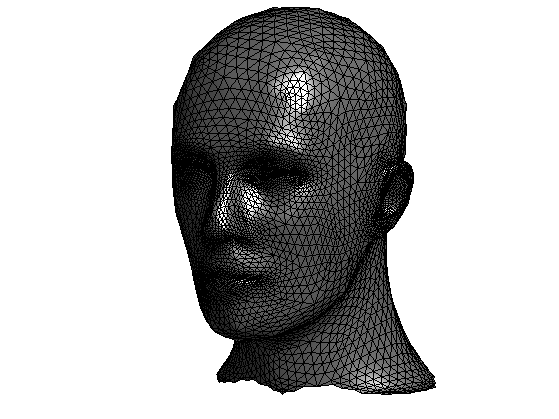 Subdvision methods progressively refine a discrete mesh and converge to a smooth surface. This allows to perform an interpolation or approximation of a given coarse dataset. 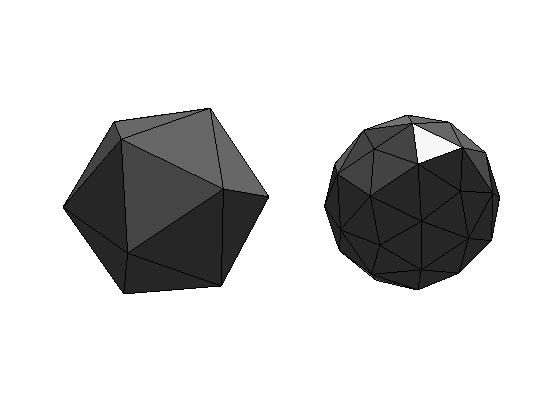 Starting from a control mesh which is a regular polyhedra, one can construct a sequence of mesh that converge to a sphere by subdividing each edge into two edges, and each triangle into four smaller triangles. The position of the mid points are projected onto the sphere. 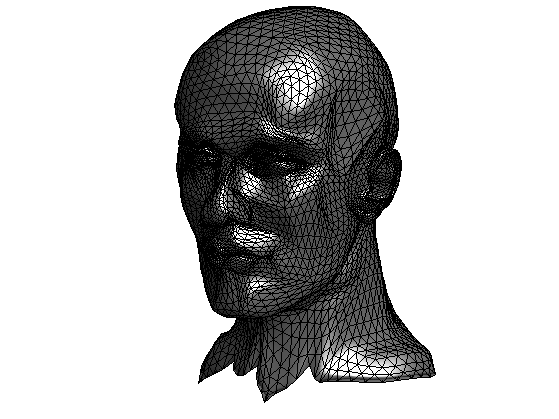 Compute two examples of initial base mesh. Compute the set of edges. Number of vertex and edges. 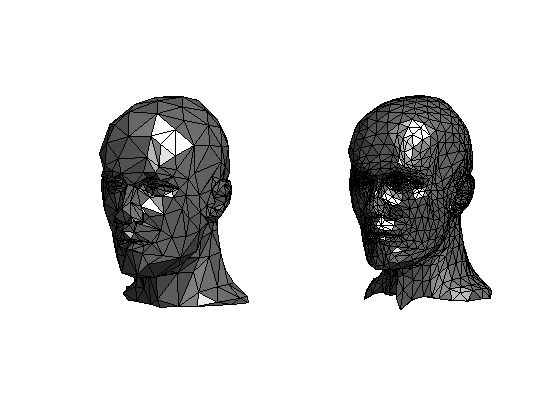 Compute the number of the three edges associated to each face. Compute the new faces, each old face generates 4 faces. 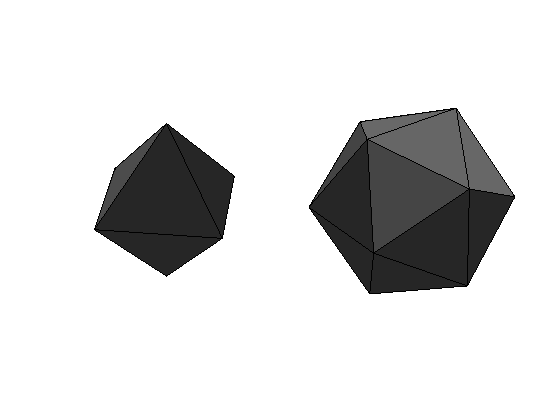 Add new vertices at the edges center. Project the points on the sphere. 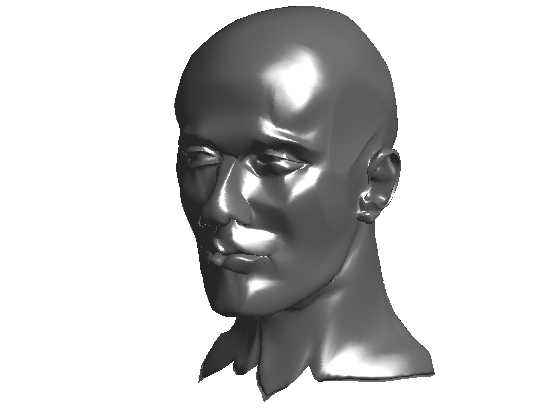 Exercice 1: (check the solution) Perform the full subdivision. Exercice 2: (check the solution) Try with other control meshes. 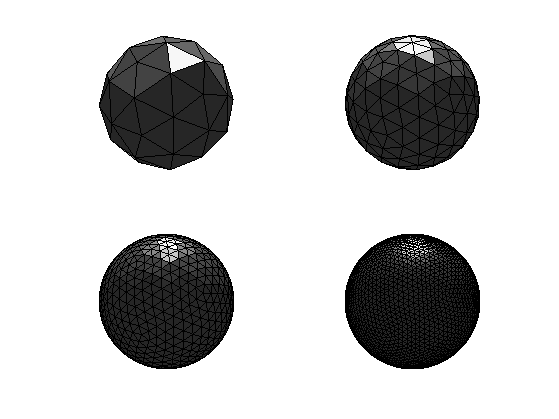 The same method can be applied to an arbitrary control mesh, but without the projection on the sphere. More clever interpolations should be used to avoid having a simple piecewise linear surface. Load the base control mesh. 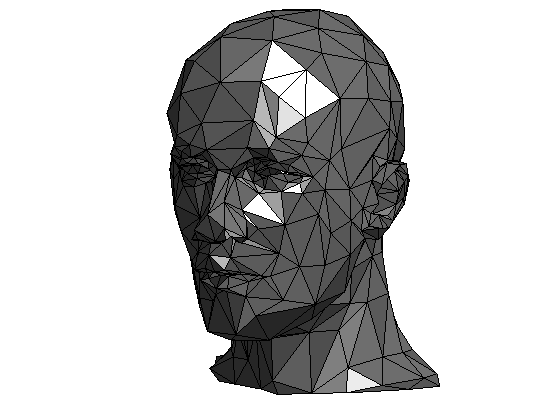 % Compute the number of the three edges associated to each face. Compute the vertex and face ring. be global before you use that variable. Exercice 3: (check the solution) Perform several steps of subdivision. Display the new mesh faceted. 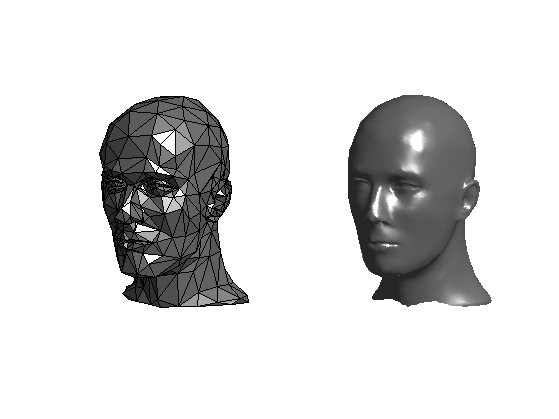 Exercice 4: (check the solution) Try on different 3D models. Exercice 5: (check the solution) Implement another subdivision scheme that is not interpolating, for instance the loop scheme. Be careful about the handling of points that does not have valence 6. 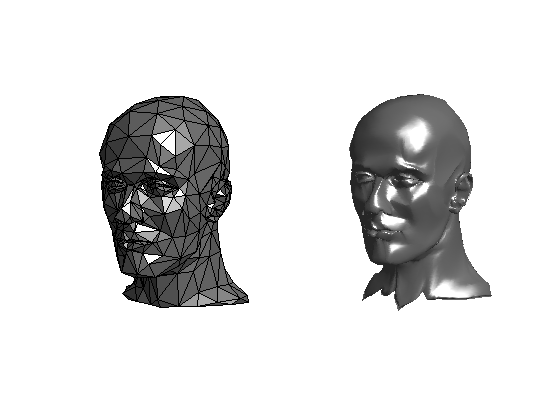 Exercice 6: (check the solution) Implement another subdivision scheme that does not perform a 1:4 split of each face, for instance the sqrt(3) scheme.